I have always been jealous of those girls with naturally curly hair. They can throw some gel in their hair and go about their day. Even girls with their hair permed. However with this jealousy I am not one that likes to keep my hair curly for more than a few days. Lucky for me, I can curl my hair at home and the next day if I want straight hair, BAM! Straight hair! I can achieve this with the BaByliss PRO Ceramic Hot Rollers. Babyliss Professional Hot Roller with super hot ceramic infused rollers. Ion generator emits millions of negative ions through dual ports for healthy shiny hair and a style that will last. Ceramic generates far infrared heat for faster styling and less damage to the hair. My experience with this hot roller set is a very positive one. After plugging in the machine, the rollers were warm within 5 minutes. I let them go a little longer to make sure the heat was at it's hottest to curl my hair faster. The clear doors open smoothly and stay closed when shut. So, as I mentioned before, I have straight hair. My hair is of medium thickness and I really can't complain overall. No frizz, not too many flyaways, and it hold curl just fine. After rolling the rollers into my hair, I let them sit for 20 minutes before removing them. As you can see, the curl took quite nicely. I used to curl my hair with a curling iron for an all over curly look. No longer will that be happening. I can rejoice in having a much easier way to curl my hair, let alone that it is going to look much better! BaByliss Pro has quite a few different products. They range from straighteners, to hot rollers, to the new BaByliss Pro Perfect Curl. You can order your Babyliss Pro products with Flat Iron Experts! Disclosure: A special thank you to Flat Iron Experts for giving Sweet Cheeks and Savings this opportunity to work with them. We received these items free of charge from Flat Iron Experts. No monetary compensation was received or offered, nor were we under any obligation to write about this product. All opinions expressed are honest thoughts. We were not offering any sales or taking orders for this item. We will not receive any compensation in connection with any sales of this item. I've never tried curlers like this at all because I have natural waves. Love how well they curl though! Every time I've used hot rollers I've burned my fingers, so I gave up! You're so cute in your rollers, though! Looks like a great product. I have wavy hair and always want to make it more curly. Great review, it's funny how girls with straight hair wants curls and girls with curly hair want straight hair. Now that is a sweet curling set! And I love that it doesn't take up a huge amount of counter space! 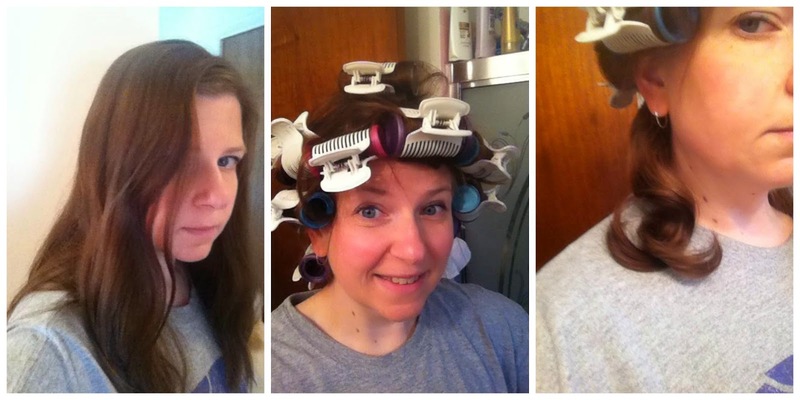 I would use my curlers more often if I had the room to put them on the counter and heat them up. I would love these. I pay someone to give me curls this would be way better. I'm also one that needs a flat iron. Not that I've ever used one, but I definitely don't need more curl! I'm glad you liked these though. I try to avoid using any kind of products like these because of the damage it does to my hair. My hair is way too fine and I have to be careful with it. But they look easy to use and I like the results. I love having soft curls like this since I have really long hair and it looks great. I actually have naturally curly hair and still like to curl it sometimes. They sound like they are really good - I've always wondered about getting some curling tool as my hair it 1/2 curly and 1/2 straight. I love the look!! My daughters hair is already so curly but it would be n ice to keep it a nice put together look. How neat!! The curls really came out really nice in your hair! Looks great and it gets the job done, awesome curls! I have always wanted to try these, I have straight fine hair, I hate curling it when I want curls. 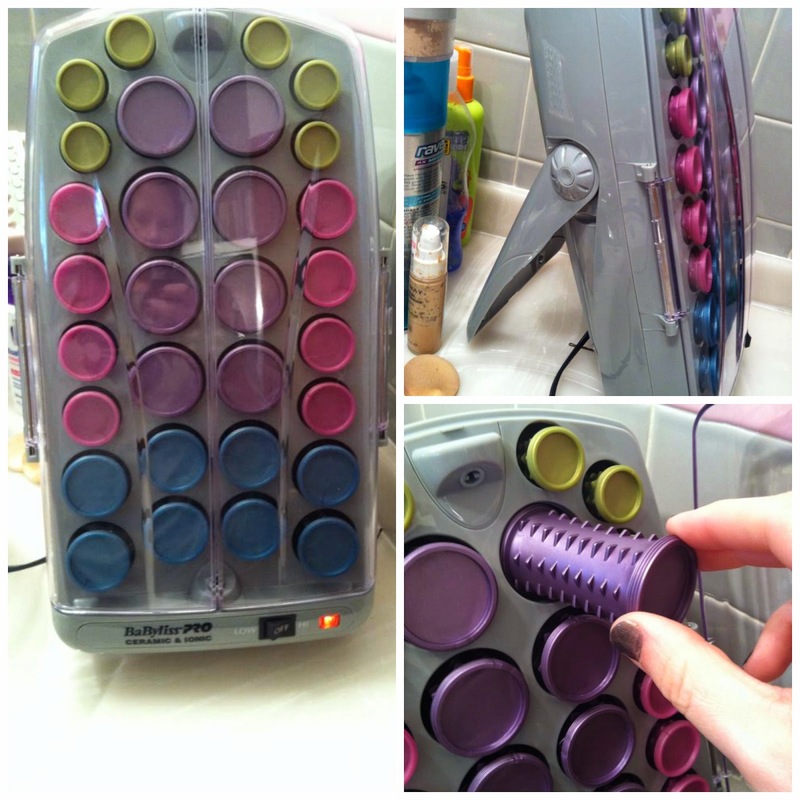 This brings back many memories of when I use to use hot rollers way back when. This looks much easier to use and like something I might want to try again. Sounds like some awesome curlers. My hair is the same as you describe, medium thickness and straight. I have been wanting to try some rollers but wanted to make sure they were worth it before investing. Thanks for a great review. I wish I had time to do curlers. lol I like the look of those and they would be perfect for my hair. I love the clips on there. The hot rollers that have clips are hard to work with, and these look like they're not! Wow! No frizz!! They came out great. :) I've never tried these because I have natural curls but my mom would love it. Oh man...I have curly hair and I WISH I could throw some gel in it and go on my merry way. It's so much work. I usually flat iron my hair, but I do like curls every now and then. I have this weird hair that doesn't want to be straight or curly. It's not even wavy. It's just, weird. Straight in some spots, curly in others. My daughter has very straight hair. She is always looking to curl it . I sure she will be very happy if I were to buy this set for her. This is a must have, I could totally use this. The case is such a plus awesome review. Nice for those with straight hair... I have tons of natural wave and prefer a flat iron, too.